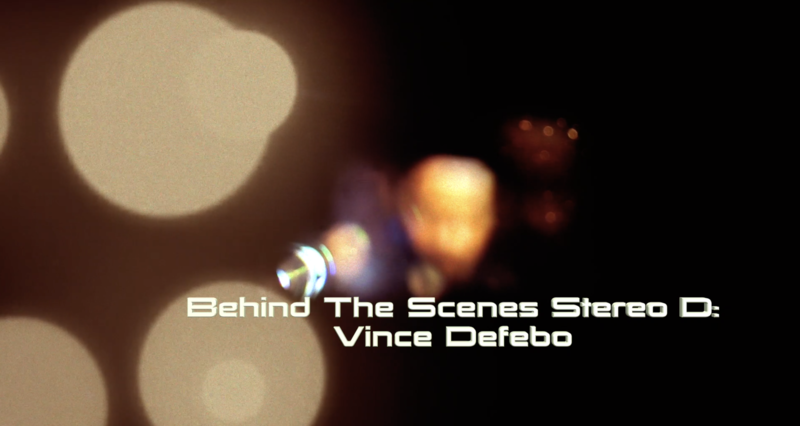 Vince Defebo is a Stereo Producer at Stereo D with over 10 years of experience in the film industry. Vince first started working at paramount pictures in 2004, where he had the opportunity to work with Aaron Parry on Animated features. Aaron is now the Chief Creative Officer here at Stereo D.
What are some of your main responsibilities as a Producer? The main responsibility is overall management of a successful delivery of our projects. This primarily involves collaborating with our Stereographer, who in the last movie I worked on is Nick Brown, in order to ensure the clients expectations for the creative direction and schedule of the project are met. This consists of interaction with the Director, client side Stereographer, their visual effects and 3D team as well as the DI Producer on creating and maintaining a production plan/schedule and keeping clear communication with them throughout the process. We also work closely with our departments internally to set the priorities and objectives in order to meet the deadlines of the schedule and plan that we develop with the film makers. What I like the most about my job is the people I get to work with. We’ve got many talented artists and production staff here at Stereo D. I’ve been fortunate enough to play a small part in many big movies, we work on most of the major blockbusters that are released each year and each film brings its own unique and exciting experience based on the subject matter of the film, the studios producing it or the Directors and Producers involved. What is the most challenging thing about being a Stereo Producer? For me, it’s keeping up with the always advancing technical aspects of VFX and Stereo conversion in post-production. My career started off in feature production management so I had a higher level view of these departments. The technology, software, process, techniques that the artists use on a day to day basis, I had to learn when I joined Stereo D.
How was it to work on Bladerunner 2049? movies. Getting the opportunity to work with Roger Deakins, whose career speaks for itself, he’s been nominated 13 times for best Cinematographer in the Academy Awards, I think anyone in the industry would look forward to that opportunity. Why should people go see Bladerunner 2049 in 3D? Everyone should go see Bladerunner in 3D because there’s certain effects and aspects of the film, I personally feel, are enhanced by seeing them in Stereo. I can’t really give you any more detail than that at this time, you’re just going to have to go to the theatre and see it for yourself.